The first 2 of our 4 The Move titles are released now “Move” and “Shazam” both deluxe versions come with tons of unreleased, BBC extras material etc and have lovely packaging courtesy of Phil Smee. (who is a massive fan too) . There are also vanilla remastered versions available too. Esoteric Recordings have done an amazing job on these reissues of the first two albums of The Move – lovely looking and sounding packages with stacks of quality bonus material. Reissues of the year so far? The Move occupy a funny place in rock history. With a string of inventive and relentlessly tuneful singles to their credit (not to mention consistently entertaining albums) they’re the sort of band that should be mentioned in the same breath as the Kinks and the Who, but ask your average punter under forty to name one of their songs and you’re unlikely to get anywhere Add to that the Jeff Lynne connection, and you’ve got an instant recipe for footnote status. These two new reissues from Esoteric Recordings provide further proof of just how unjust this situation is. What we have here are packed, deluxe editions of the band’s first two albums. There have been plenty reissues of this material already, often haphazardly and carelessly assembled. Likely this is another reason for the Move’s legacy being somewhat lesser than it should be, but these two releases are lovingly curated gems that treat the source material and the fans with the respect that they deserve. Each is available in a single disc ‘vanilla’ edition, containing the original albums with contemporary a & b sides as bonus tracks, or densely packed, nugget-laden deluxe editions which are a true collector’s dreams. The self titled debut and its surrounding singles (“Night of Fear” and “Flowers in the Rain” etc.) are concise psychedelic pop gems that marry Beatlesque melodies and arrangements with often unhinged source material ala Syd Barrett. Just the ticket for those who find the Beatles too straight and wish that Syd was a little more tuneful, although you’re speaking to the wrong person if you’re looking for an impartial critic of either of those acts here. Recorded over the space of 14 months it’s no wonder that it feels almost like a hits collection. Three cover versions (of tunes originally by Eddie Cochran, James F. Hanley and Moby Grape) illustrate the band’s diverse influences, but it’s Roy Wood’s own compositions that really take this to the next level. Hugely catchy, with clever, often baroque arrangements (which demonstrate just how important Wood’s contribution to ELO would be in the future), these are classic examples of the two and a half minute pop song, peppered with just the right amount of psychedelia and English whimsy. And that thunderous bass really sets them apart from the pack. There’s also a brace of pre-psychedelic tracks from 1966 when the band were a straight beat act, which are fascinating listens in their own right, while also demonstrating just how much the band’s distinctive sound developed over the following year. “Shazam” is a totally different beast, but still obviously the work of the same band. And it’s every bit as good as its predecessor too. Moving on from the short-form pop songs found on the Move (excepting the lovely “Beautiful Daughter”), this is the Move as a heavy proto-prog band, a shoe that fits surprisingly well. All of the things that made the first album so appealing are still evident here – the distinctive harmonies, the huge bass (now played by Trevor Burton) – but there’s less reliance on the studio, and more of a focus on band interplay, which is uniformly impressive. There are some pretty heavy moments here (the surprisingly bluesy “Don’t Make My Baby Blue”), but it never gets clumsy or heavy-handed, and there are reprieves peppered throughout in the form of exquisitely harmonised choruses, not to mention the classical middle section of “Cherry Blossom Clinic Revisited”. Wood only has one new original to offer, but the covers are so well assimilated you’d swear he’d written them too if the source material wasn’t so familiar. The bonus tracks on the single disc edition show that Wood still had some classic single-worthy material in him too, including their sole UK number one, the Beatlesque “Blackberry Way” and the appealingly jaunty “Curly”. Also addended to the multi-disc version are a treasure trove of BBC recordings in very fine fidelity, which again demonstrate the Move’s mastery of a multitude of styles, as well as their ability to tackle some pretty intimidating source material and not lose their own sense of identity. Great things abound here, but the highlights for this listener are surprising stabs at popular murder ballad “Long Black Veil” and the Nazz’s “Open My Eyes”, as well as a great take on Dusty Springfield’s “Goin’ Back”, which flexes it’s muscles and makes the Byrds version sound like a bit of a pipsqueak . It’s refreshing to see two such accomplished albums expanded so comprehensively, yet still in a fashion that accentuates their excellence, rather than diluting it down with unnecessary mixes and material best left on the cutting room floor. If these aren’t the best expanded editions released this year, I’ll be very surprised. I can’t wait to check out Esoteric’s treatment of the rest of the band’s catalogue now. The second pair of Esoteric Recordings “The Move” reissues are released on 27th May, this will be “Looking on” and the full album version of Something Else from the Move . “Looking on” is a double and is only available as double deluxe version . Full track listings can be found on the Esoteric or Cherry Red Website . Hope you will be enjoying the new issues of Move and Shazam. Jeff Lynne is taking ELO on the road for the first time in almost thirty years. Known as one of the most iconic forces in music history, Jeff Lynne’s new album will be the first new ELO music in 15 years. Entitled Alone In The Universe, the album is set for global release November 13th 2015. As with ELO’s previous chart-topping albums, Jeff Lynne continues to serve as ELO’s producer, songwriter, arranger, lead singer and guitarist. 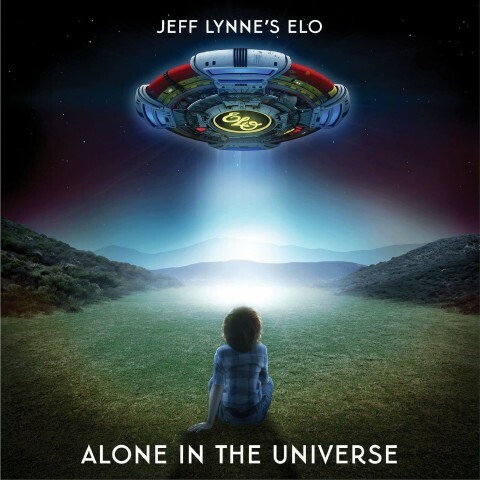 Music video by Jeff Lynne’s ELO performing “When I Was A Boy”. (C) 2015 Big Trilby Records, under exclusive license to Columbia Records, a division of Sony Music Entertainment. Jeff Lynne fans have a lot to be excited about. 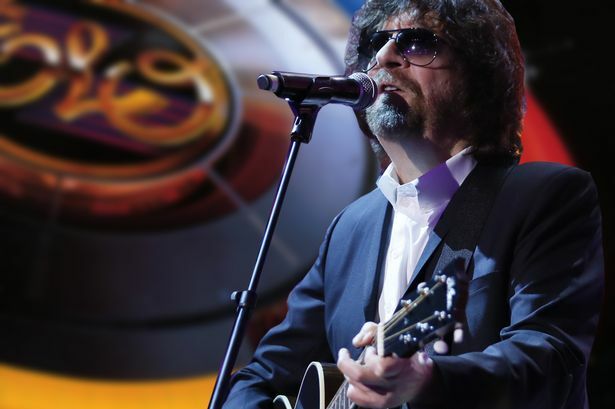 he annouced that Jeff Lynne’s ELO will release the first ELO album in over a decade. The long player represents the first new music from the (one man?) band in over a decade and you can already listen to a typically Beatlesy song from the album. The deluxe CD edition of Alone in the Universe adds two bonus tracks to the standard ten-track album – Faultline and Blue. Electric Light Orchestra band leader Jeff Lynne has announced he will be performing a full show with the band for the first time since the songs played in 2013 for the BBC Children in Need but this will be a full show as part of the BBC2 Live in Hyde Park event already also booked are BLONDIE and Chrissie HYNDE.